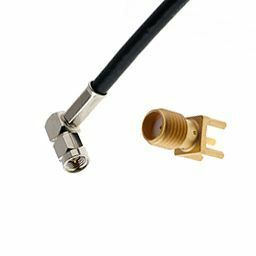 Hermetically sealed RF connectors are used to carry microwave signal in and out of an electronic package and to ensure no outside elements - liquid, air or gas - can enter or leak. 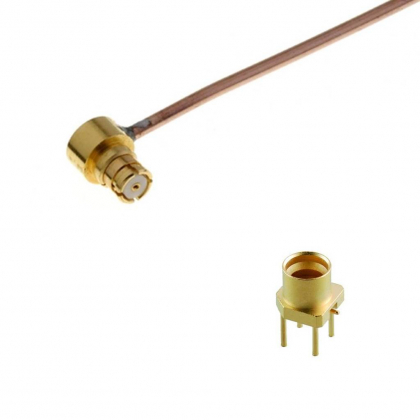 They are designed with a fused glass-to-metal seal soldered into the connector body and sealing the connector internally. Low-loss special glass is used for best electrical performance. Hermeticity is typically defined as a leak rate of less than 1x10-8 cc/sec of Helium at 1 atmospheric differential pressure. 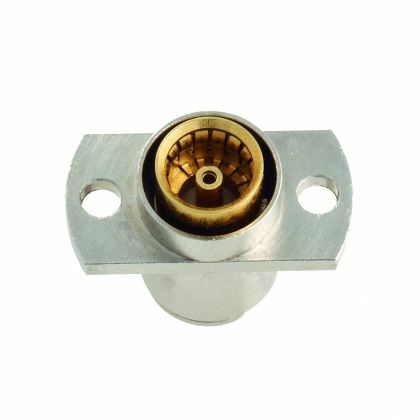 Hermetic connectors are used for applications requiring an extremely rugged and reliable seal in high pressure environmental conditions. 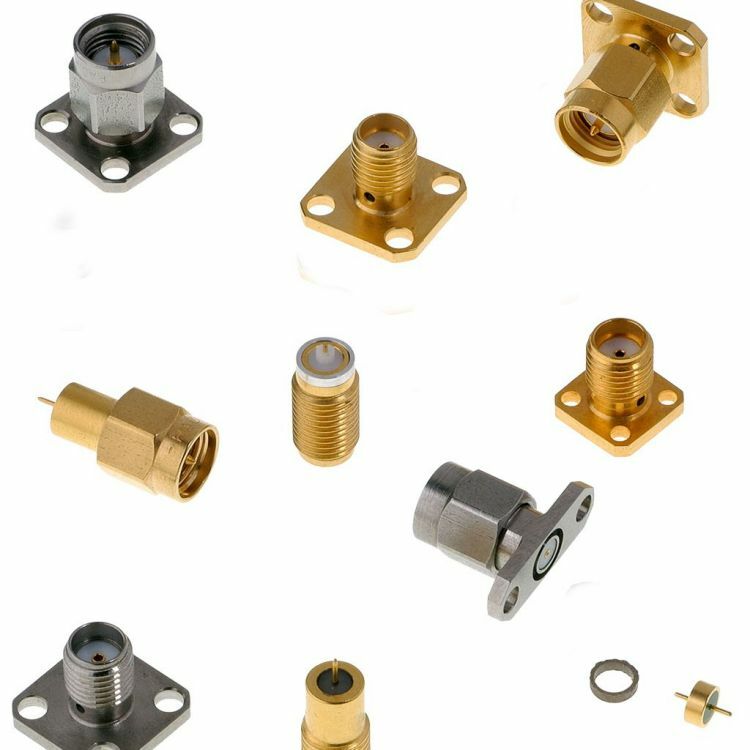 They are available with many interface type, the most popular one being SMA type.